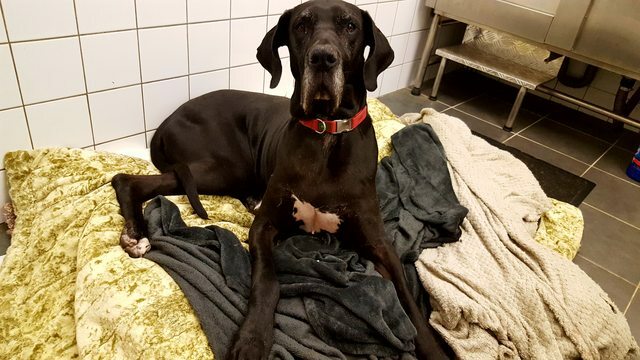 Onyx is an almost 7 year old Great Dane. Onyx was adopted from the sanctuary back in 2013 but sadly his owner has now passed away. 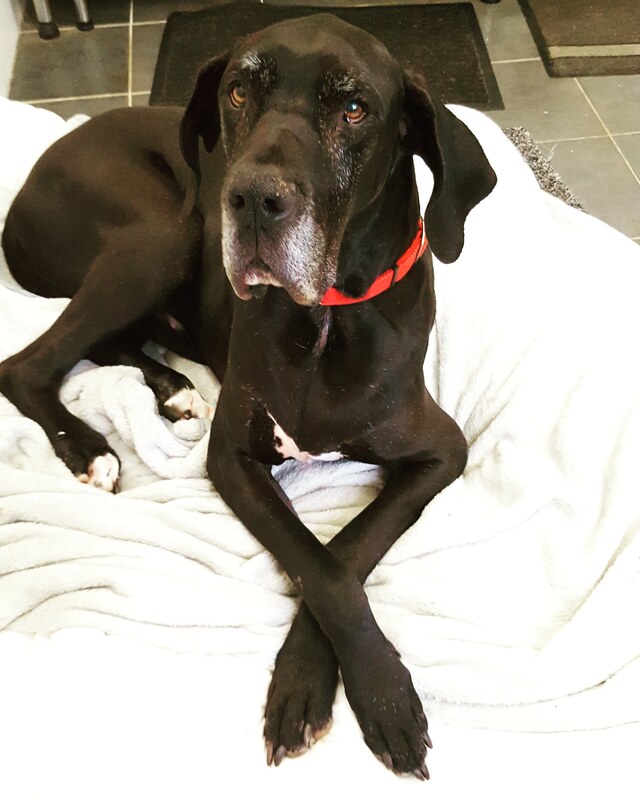 Onyx is in good health but does have a bit of arthritis partly due to age and an old leg injury which he receives anti inflammatories for as and when needed. He is such a big goof ball. In his mind he is still the 18 month old loon we had over 5 years ago galloping around not knowing how to stop! We do have to give him timeout sometimes so he doesnt over do it. He is used to visiting grandchildren and is dog sociable. He is okay with cats as long as they aren’t in his face and respect his space. What Onyx would love is a home with a newly retired couple or person who can dedicate all their time to him which we know he would love. Although he loves everyone and other dogs – he really would be grateful for that one to one. 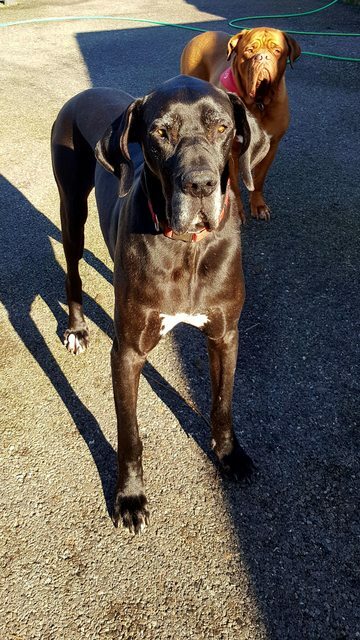 Great Dane experience isn’t a necessity but ideally larger dog experience preferred. On a personal note I absolutely adore this dog. I will be very sad to see him rehomed as I was in 2013. He reminds me very much of my first dog, Apollo. And I know how much one to one means to him. No matter how many people or animals he is around, his chosen person is the one for him. He bonds very quickly. I would adopt him myself, but I feel someone can give him more.